Since I didn't see a thread about this, I thought I'd post one. April 22nd at knotts berry farm, the 27th annual all Ford, Mercury, and Lincoln car show! An expected 2000 cars to attend. I'm going to be there, all signed up already for "class 30, European/merkur"
Sounds fantastic. If I'm not moving or preparing to move (and it looks like my house deal, for which I am THAT close, is going to die because of stupidity on the part of the banking industry and the sellers...), I might be able to go! I'll be there, but with my Mustang instead of the XR4Ti. whitelx wrote: I'll be there, but with my Mustang instead of the XR4Ti. 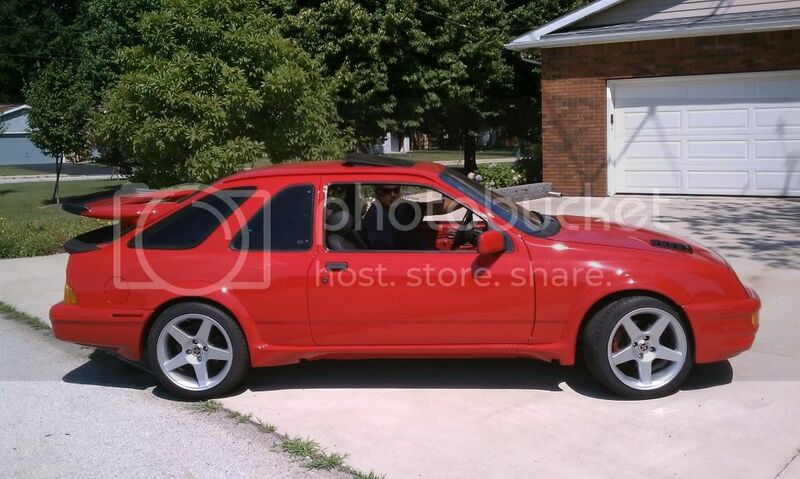 Aww but you have such a pretty xr4. I've been curious to see your white, lx mustang. I wish the XR looked better, it definitely needs some body work. In due time. I am considering taking some classes at the local community college, so maybe I can work on the car in the course and paint it as well. I wish I had time to get the turbo kit on my Mustang before the show, but that just isn't going to happen, so it will still have the old Procharger on it. Next year will be a good year for it. Awwwwww I can't wait! This year is my first time entering. You want to meet up with me and Darren, were going to Knott's too. Let me know call me or email me by tomorrow. Are all the XR's going to be parked together in the show? Or is it depending on when you signed up. Im going to be there as a spectator but would hate to find all you guys separated. All merkurs are parked together. yes they usually are. They usually group cars together. but put the SVO's on the mustang side though. Where are the pics from the show?